You guys, I have a life hack for you. If you go on a date during the day while your kids are at school, you don't have to pay for a sitter. Also, you won't have to deal with crowds and lines and most likely, your meals will cost less. In this blog post, I wanted to show you how to have a fun date at the Palladio in Folsom. This post is in partnership with The Palladio. As always, all opinions are 100% honest and my own. Thank you for supporting companies who support my work! Quick confession, my kids have been off school for the ENTIRE month of February since they attend year round school. Luckily, my sister in law was able to watch them for me so hubby and I could go on a day date. I feel like day dates are so underrated. Not only can you save money but there's just something special about being out during the day together! It's like when you were single. LOL, who remembers way back when you didn't have bags under your eyes? 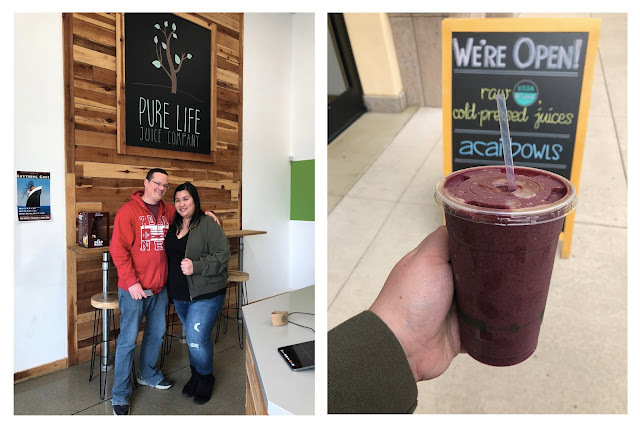 First, we started our day at Palladio by getting hubby a smoothie at Pure Life Juice Company so he could have lots of energy while I shopped... Listen, we were at a shopping center and part of marriage and dating is doing a balance of what each person likes. We popped into H&M (where he shopped too) and Charlotte Russe. Then, I got a few things from Torrid and Apricot Lane. 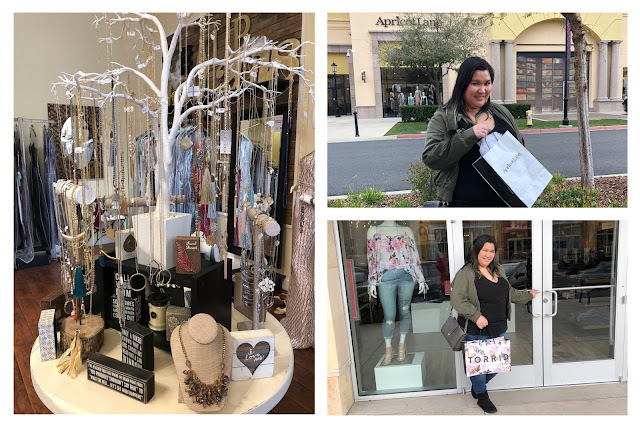 Jewelry at Apricot Lane and SHOPPING! Next, we headed off to lunch! 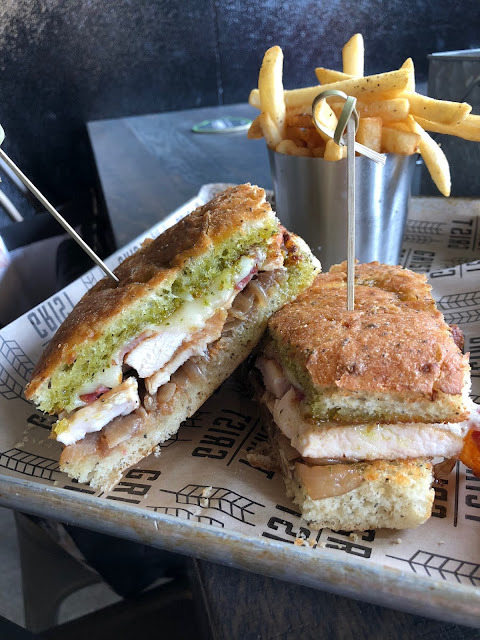 We had lunch at Grist Beer Hall which will soon be celebrating their 1 year anniversary. They have 50 taps and they ALL rotate so you never know what you'll find. They have everything from sours to stouts. 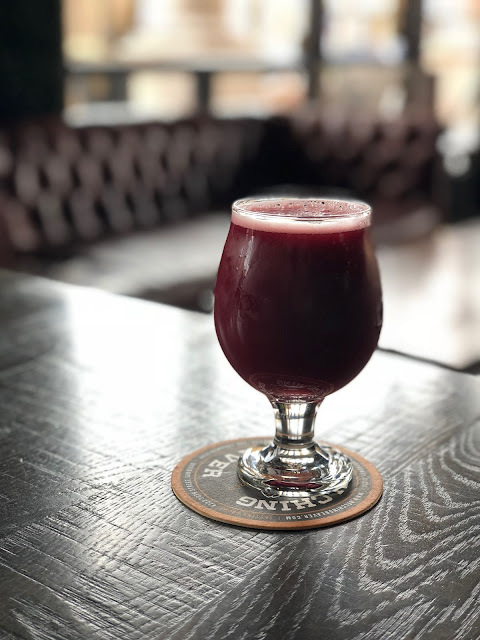 My hubby went with a sour called 1 Ton Of... Blackcurrant from the brand To Øl which is imported from Denmark. Grist also has local beers on tap such as Fort Rock, New Glory, Bike Dog, and more. I also like that they have cider because I'm a cider kind of girl. Grist calls their menu "locally curated artisan food." They have starters, small plates, salads, main dishes, desserts, and a kids menu. I'm gonna admit that mistakes were made on my part. LOL! I really wanted to try the Crispy Poutine. (My first mistake was not adding the pork belly. WHY? If there's an option for pork, you should say yes!) 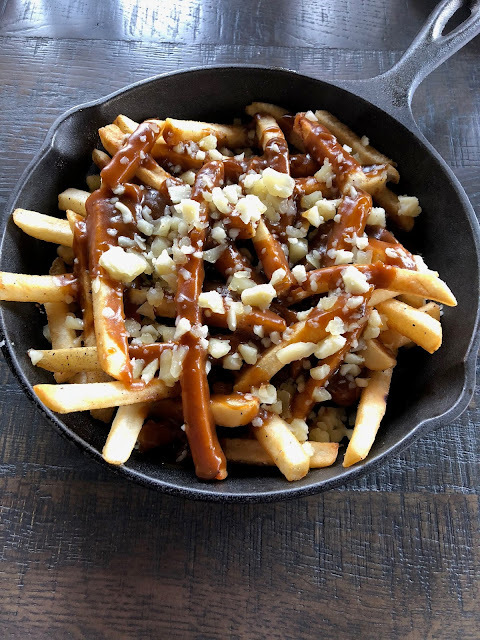 The poutine comes with a stout gravy which is such a great tie into the beer hall. It was delicious! For our main dishes, hubby got the Lemon Pesto Chicken Sandwich and I got the Marinated Skirt Steak. (Mistake 2 was I should have gotten salad or soup as a side since poutine is a french fry dish but I didn't think to ask for a different side.) I had to have some of hubby's sandwich, you know, for research. The chicken sandwich was so delicious! The brightness of the lemon was a lovely addition to this sandwich which also had balsamic onions, Havarti cheese, and bacon. 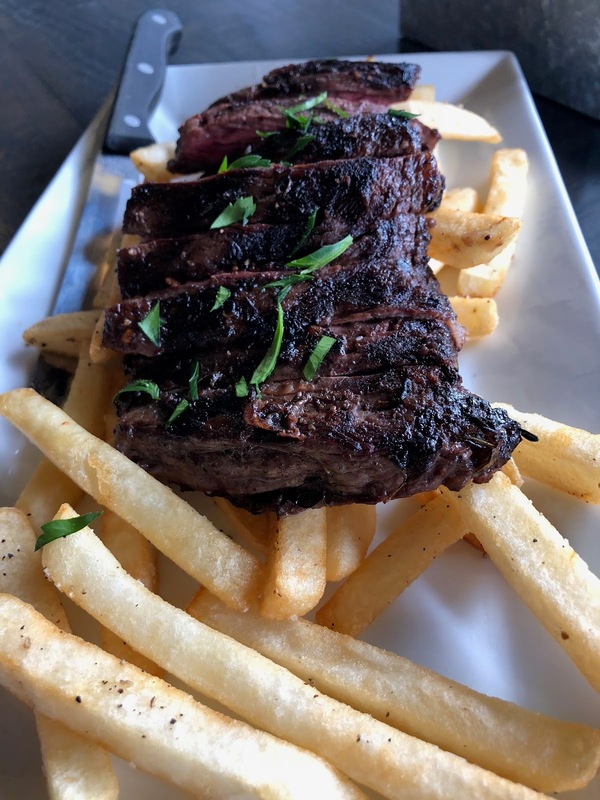 My steak was absolutely delicious! It was tender and well seasoned. The fries were crispy and super fluffy inside! It was an excellent meal! Then, we headed over to Barnes and Noble to browse. We love book stores! We used to go hang out in book stores all the time until the book stores around us closed. We chat about the titles we see. We tell each other about why we are picking out specific books. Personally, I love grabbing a big stack of magazines and sit down with a cup of coffee at a book store. The staff at Barnes and Noble was so sweet! They even tried to make me a pretty latte even though they don't do latte art there. We really enjoyed our time there! After the book store, we made our way over the Pretty Sweet for dessert. You HAD to know that dessert was coming. 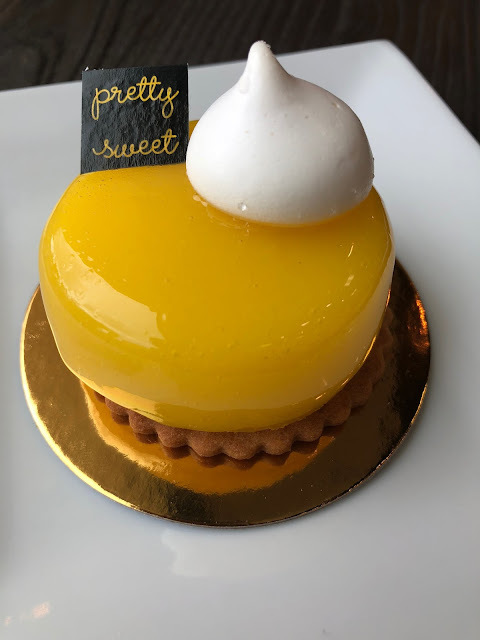 Pretty Sweet is a GORGEOUS shop. The decor is very modern and their desserts look super gourmet! We shared a Lemon Meringue Tart which was a lovely treat! We also got some beautiful macarons to take home. Last, Dustin went to go pick up the kids and I headed into Charming Charlie by myself. My sister in law needed to get ready for work and I wanted my Instagram photographer to take some pictures of us. 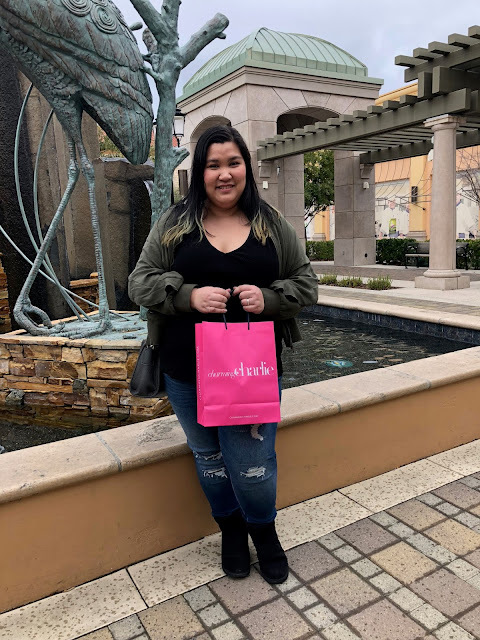 I found ALL the fun things at Charming Charlie! That store makes my heart sing and the one at the Palladio is HUGE! I could spend all day in there. If you haven't been, it's all sorted by color and that makes my heart so happy. 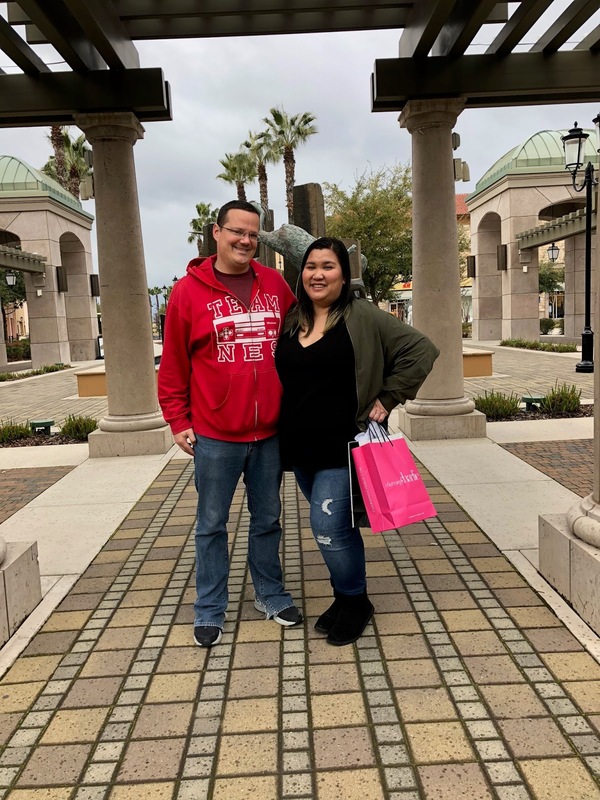 Going to the Palladio was a great way to spend a day date! They have other more "date" type of places to go to as well like their Palladio Luxe Cinema is AMAZING and you can eat while watching a movie (but we are trying to get out of the dinner and a movie rut, remember?) They have Color Me Mine where you can paint your own pottery and Painted where you can do a paint (canvases) and sip. There's also a spa at the Palladio if you can take your date into some pampering. Lots of great date options! Do you go on day dates? Where do you go? Let me know! I'm always looking for new ideas! Day dates are always fun, and I agree, sometimes you have the benefit of things being cheaper or places being less crowded! Ah, the days when day dates were more do-able! It's going to be awhile until all our kids are in school during the day but I agree that is a great hack. 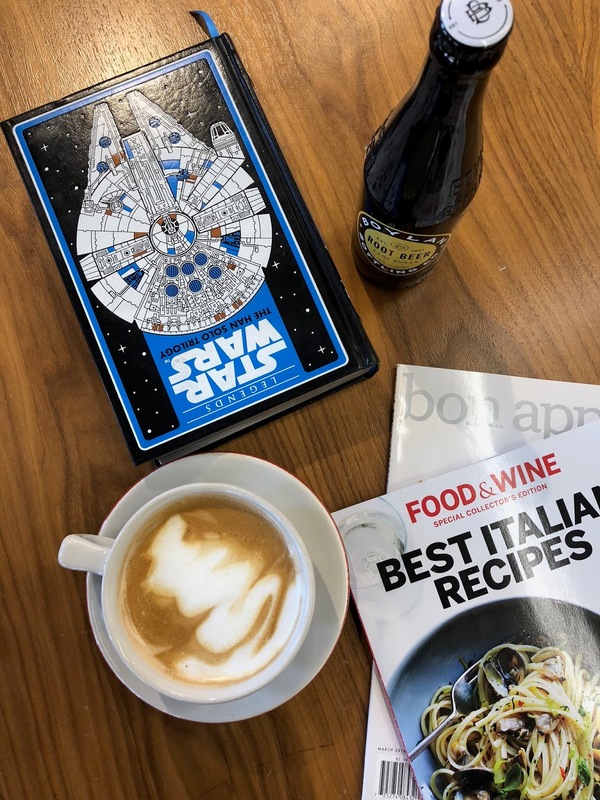 Day dates are totally my favorite too - something so decadent about sneaking away in the middle of the work day for some couple time!